This is a report supporting Reducing the UK’s carbon footprint and managing competitiveness risks (April 2013). 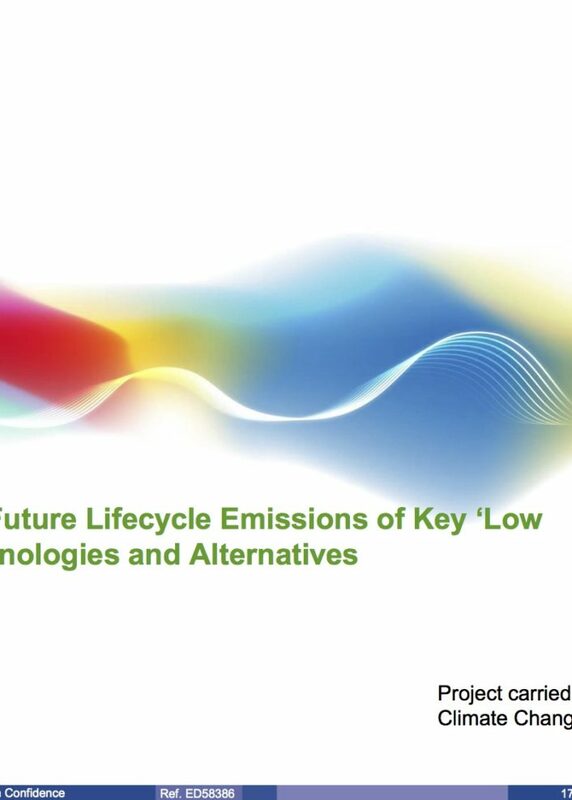 What are the life-cycle emissions associated with each of the technologies? How do the life-cycle emissions compare to the counterfactual? Do the emissions arise in the UK, or are they embedded in imported goods? If embedded, where are they imported from? How might emissions change in the future? How could emissions be reduced? The supporting research was written by Ricardo-AEA.